Honda Motor Co. is one of the greatest success stories of the post war motor industry. Soichiro Honda began making piston rings for the aircraft industry in the late 1930s. The flourishing factory was completely destroyed by bombing during WWII. 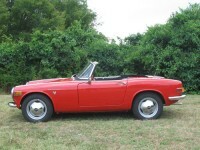 Honda Motor Co. traces its automobile roots back to 1959. 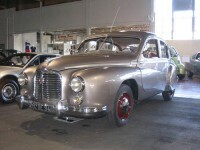 The s800 was introduced to the world at the 1965 Tokyo Motor Show, and would replace the successful s600. Honda can be said to have introduced motorcycling to the masses in the U.S., with the 1959 introduction of the C100 Super Cub–the world’s best-selling vehicle. At 125.8 inches in length and 1,410 pounds, the Today was Honda’s first “kei” class passenger car since the Honda Life was discontinued ten years prior. Although it only offers 31 horsepower, the light weight and small size made it popular with many Japanese urban dwellers. During the 1970s light, rugged utility cars were very popular with the public in Europe. Vehicles in this category included the Volkswagen Thing, the Citroën Méhari, the Mini Moke, and this model, the Honda Vamos. 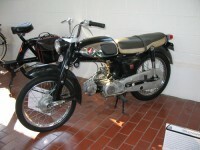 Honda was becoming increasingly well-known in the USA for its line of fun and reliable motorcycles in the 1950s. The N600 was the first sedan Honda sold in the United States in 1967. 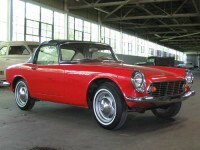 The same car with a smaller 360cc engine satisfied Japan’s Kei (light automobile) class, and was popular there. Benjamin B. Hotchkiss, an American, was asked by Napoleon II to establish an arms factory in France in 1867.